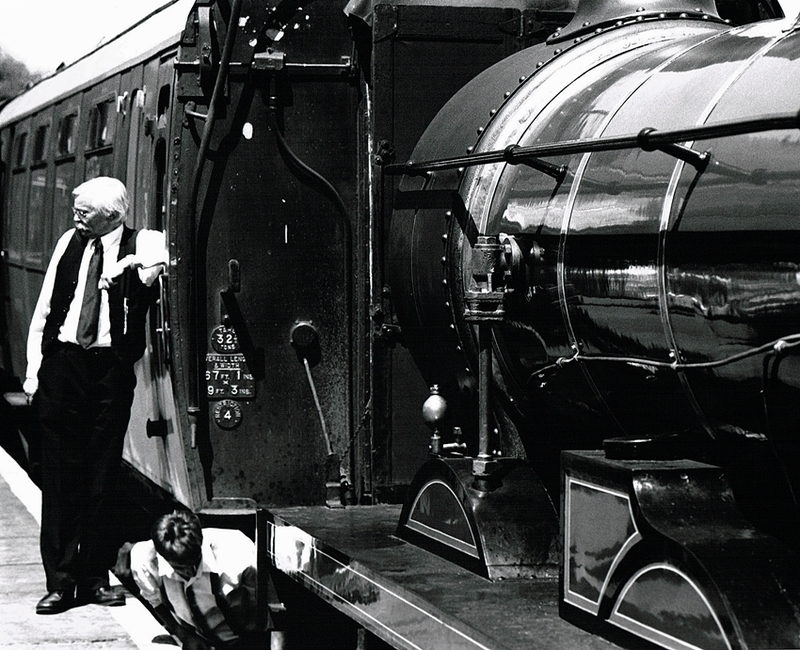 If you like trains and steam the Bluebell Railway is a great day out. There is a connection here with Cornwall, Richard Trevithick (13 April 1771 – 22 April 1833) worked with high pressure steam engines. In 1804 the first locomotive hauled journey was completed by an engine designed and built by him. 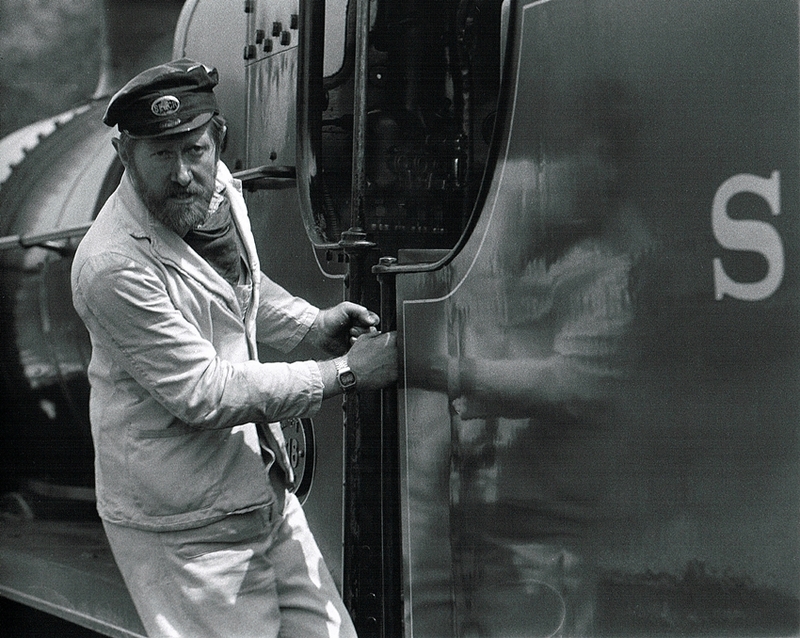 The Bluebell Railway history began in the 1960’s and was the first preserved standard gauge passenger line in the world. 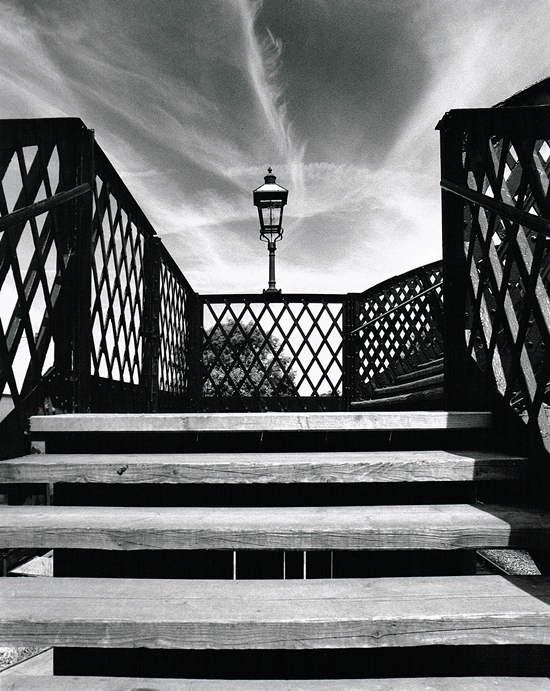 The footbridge between the platforms, on a sunny day it’s a great subject for Black and White. The sky behind was darkened by using an orange filter on the camera lens. I very much enjoy taking pictures of people, this driver was caught unawares. The different shapes and textures in this image makes it a cracker. 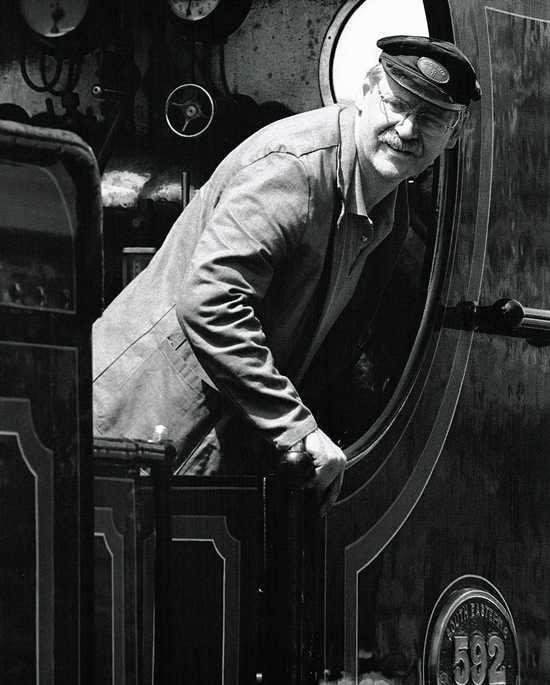 The Bluebell Engines are loved by the men who drive them, I don’t think you’ll ever see a grumpy steam train driver, it must be an amazing feeling to “ride the plate”. 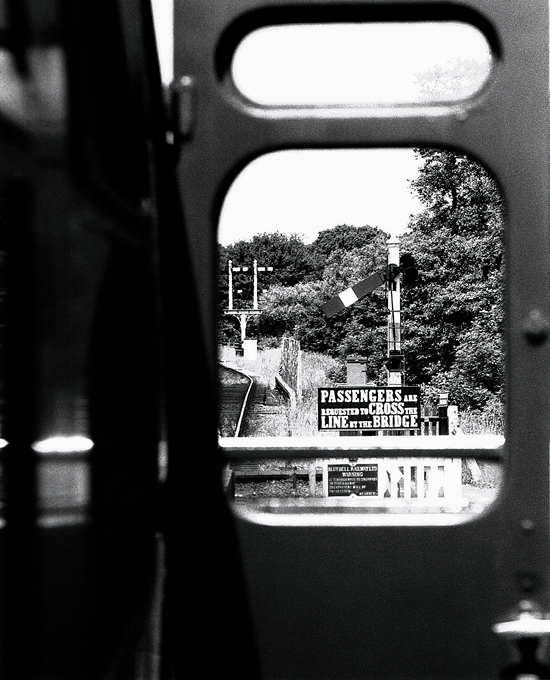 With so many shapes and patterns around the Bluebell Railway its always good to look for the unusual angles. This image taken through the window of an open door, hangs together quite well. 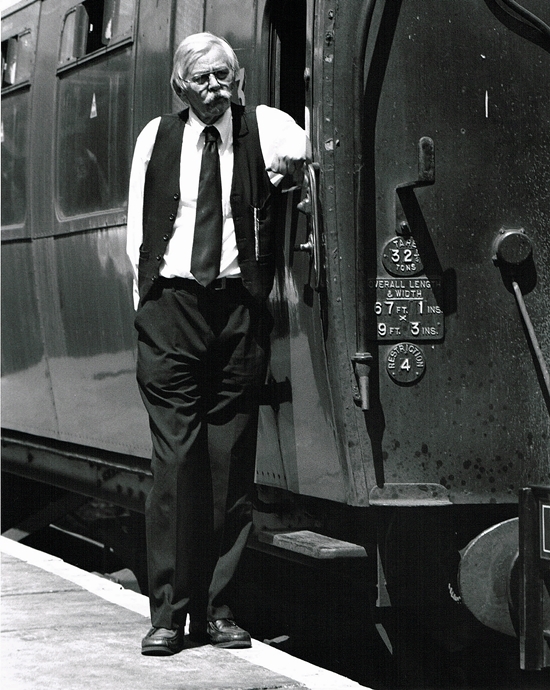 It is always good to catch people when they are not looking at the camera, I quite liked the detail on this train guard. The reflections in the engine are amazing, a well looked after piece of working history. These guys at the Bluebell Railway must spend hours just cleaning and polishing. 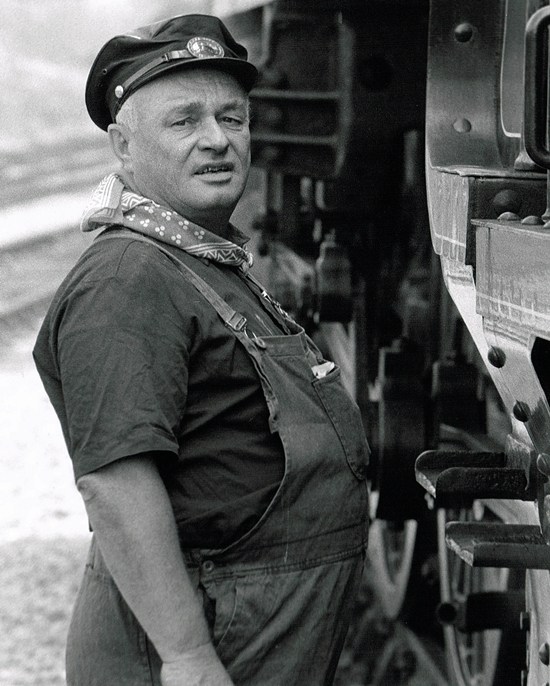 Finally, great reflections and detail in this image of the Train Driver. This one was taken in the 80’s, I think the old style digital watch looks very out of place. That is the last of the “Other Images” pages. I have to say these days I get very little time in the darkroom and I am still printing images taken in Cornwall in the 1990’s. Consequently these pages will not be added to, unless I ever catch up with myself, which is unlikely.